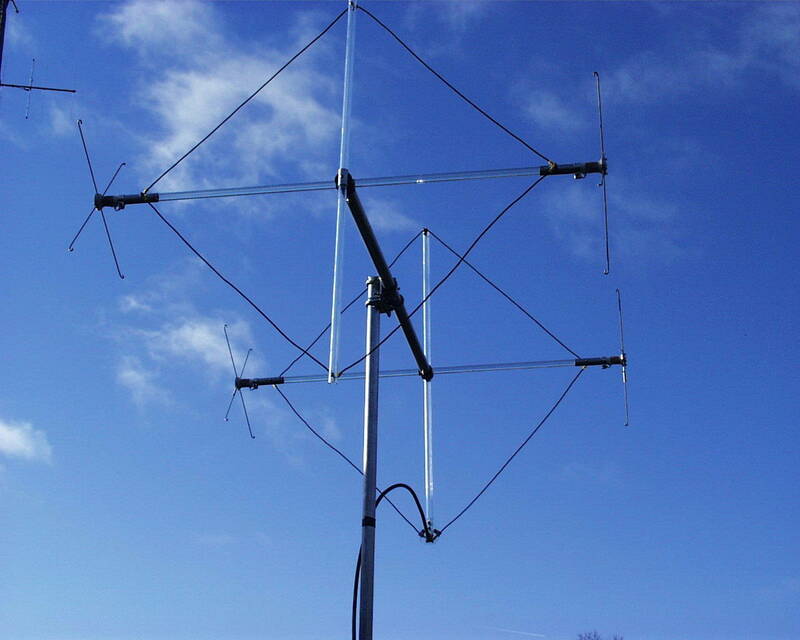 The QCB-1 Quad Antenna has been engineered to provide maximum gain and efficiency in the smallest practical size. Having a 55 1/2 inches boom and turning radius of 45 inches requires the smallest erection area of any CB Beam Antenna on the market. The QCB-1 incorporates the principal of hi potential loading; acclaimed the most efficient method reducing resistance and radiator current necessary for maximum radiation efficiency. The QBC-1 also features easily adjusted frequency , and choice of horizontal or vertical polarization, picture shows vertical polarization. It's weight is only 8 pounds and can be mounted and rotated with economical TV hardware and rotor. Here , in super small size is an antenna designed to satisfy those with very limited space and size restrictions. Power Rating 500Watt AM, 1200W P.E.P.